Ever dream of sipping wine and tasting cheeses on the Italian Riviera overlooking the harbor as waves lap at the dinghies of a tiny fishing village? How about dining on fresh fish caught daily and local specialties such as pesto and limoncello prepared the same way by generations of Italians? Cinque Terre is that and more. 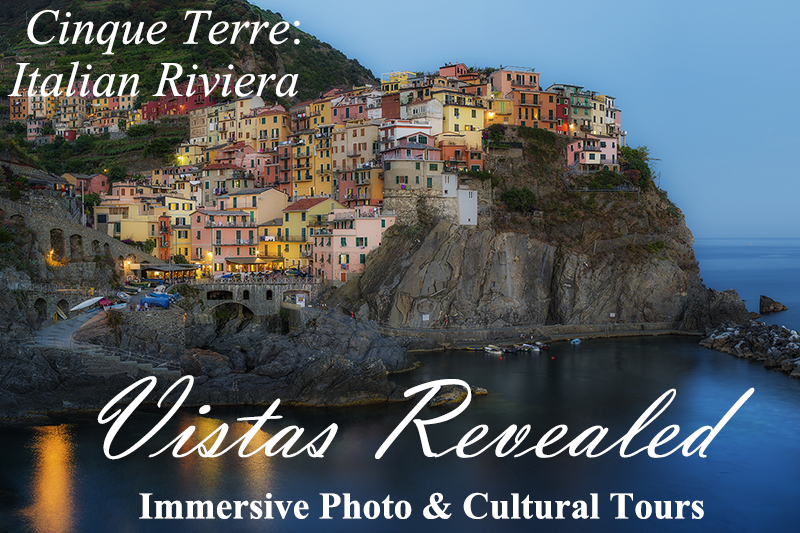 Journey back in time to this fantastic region and explore the Five Lands experiencing the dramatic vistas above Vernazza and Manarola and framing the tiny boats in the perfect harbor of Riomaggiore within your lens. Photo © copyright by Ted Davis.